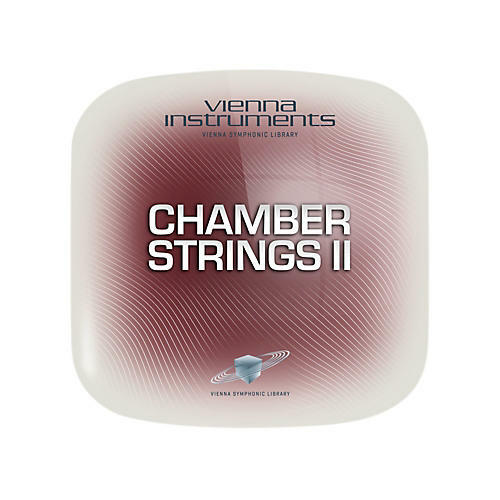 The Chamber Strings II Full Library contains 30,405 samples in 44.1kHz/24-bit format. Due to an innovative optimization process, the Vienna Instruments engine decompresses the samples in real-time, so that they take up a limited amount of space on your hard disk. Please note: Even if you licensed the Standard Library only, the Full Library of your Collection gets installed on your hard drive since Standard and Extended Library can't be separated due to structural database requirements. The Chamber Strings II collection offers various facets of short and sustained notes, crescendos and diminuendos, but also includes Vienna's unique Interval Performances, including legato, portamento, and trill performances. All of the recorded samples were performed by an accomplished ensemble of string players who have been lending their talents and their international experience to the Vienna Symphonic Library for years. This collection reflects their mastery over their instruments, bringing the art of chamber music alive in your personal studio.